Demonstrates how to use FastUniformHeatmapRenderableSeries and create a *Heatmap Chart with Text in the cells* in SciChart for Android. 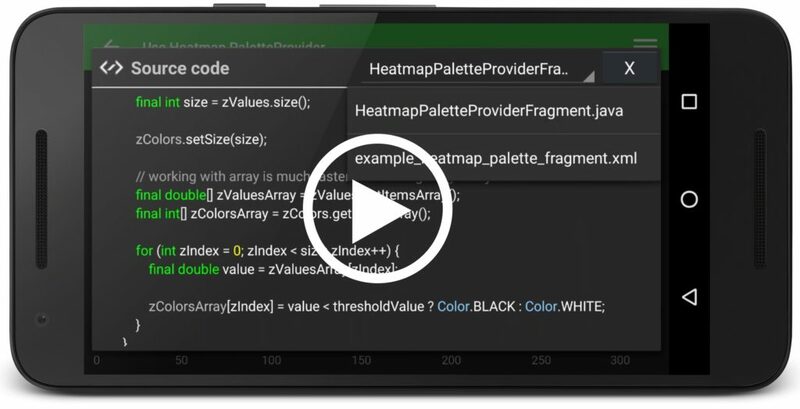 The FastUniformHeatmapRenderableSeries requires an UniformHeatmapDataSeries, which contains 1D array with heatmap values and ColorMap instance which allows to map values to colors. You can customize style of text in cells by calling setCellTextStyle() method. The full source code for the Android Heatmap Chart with Text example is included below (Scroll down! ).